搶先看:2018 Upper Deck The Defenders 電視影集卡漫威捍衛者聯盟 - 球員卡相關消息區 - 育盛球員卡(球星卡)及各類運動討論區 - Powered by Discuz! 2018 Upper Deck The Defenders trading cards head to Hell’s Kitchen for a recap of the Netflix show’s first season. 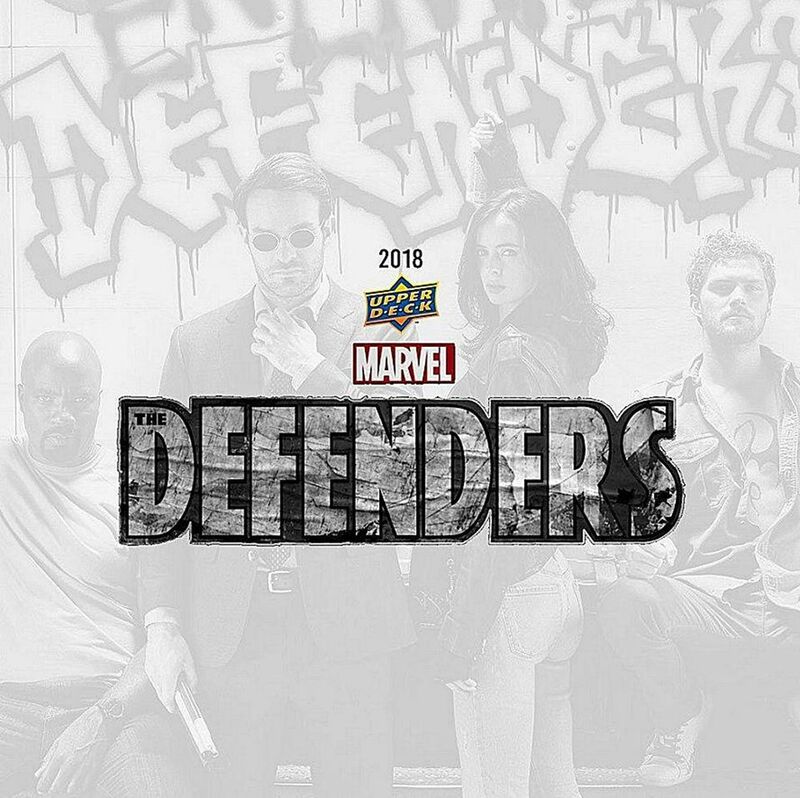 But seeing as how The Defenders is essentially a mash-up of four Marvel shows. That means lots of heroes, several villains and a wide variety of cards to chase. 2018 Upper Deck The Defenders hobby boxes come with a couple of premium inserts. For most, the big one is the promise of an autograph or sketch card. Manufactured patch cards are also inserted on a one-per-box level. Covering the first season, the base set breaks down to 100 total cards. 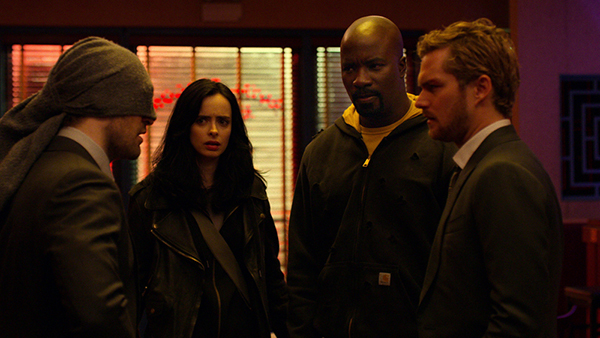 It recaps the story that brings together Luke Cage, Jessica Jones, Daredevil and Iron Fist, not to mention some of their friends and rivals. Like many Upper Deck sets, high number cards are short prints. Parallels, which are three per box, are done on acetate, giving them a clear look and a plastic feel. Gold versions are on the rare side. Autographs come from the show’s actors, although a list of signers has not been announced. Dual autographs are also available. Manufactured patch cards come in multiple styles. First are Letterman Patch cards, which have letters embedded in them. Tough Character Patch have corresponding logos. 2018 Upper Deck The Defenders has a few other inserts. Back from the Dead Coffin and The Hand are both case hits. Back from the Dead has randomly inserted autograph versions as well. Flashback cards go back to the four shows that combine to make The Defenders happen. Other inserts include Character Headers and The Black Sky.